Luxury meets affordability. If you are looking for a wonderful time in Maui, we offer a luxurious, clean, pleasant, and comfortable environment at an affordable rate. This fully furnished master bedroom style state room for two (plus a child on a pull out if needed) includes HDTV, WIFI, A/C,a ceiling fan, microwave, coffee maker and in-room fridge/freezer to provide you with all the comforts of home. This spacious 14' X 16' room boasts a comfortable king bed and a beautiful 12' X 12' ensuite private bathroom with stand-up shower and two person soaker tub. The room is completely assessable from your own private entrance just outside your outdoor patio. There is no kitchen. Pilates, massage and personal training also available by owners in house studio. 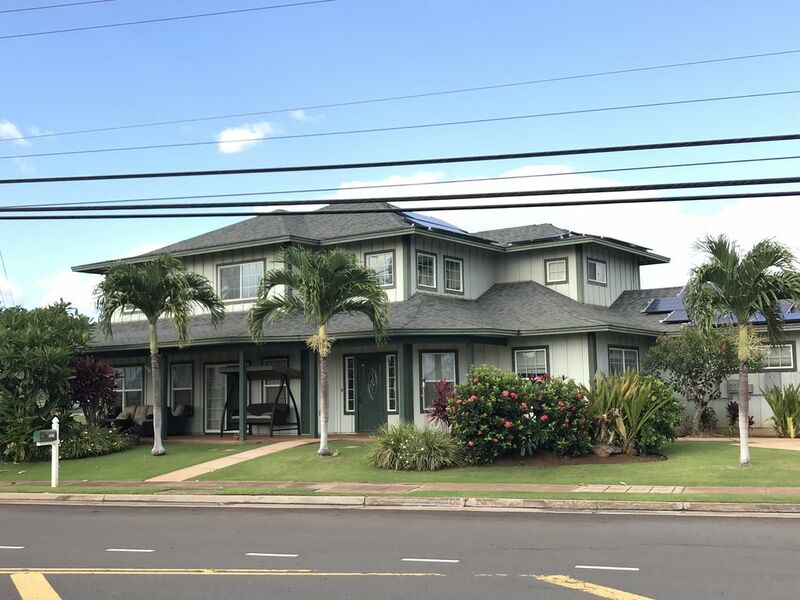 We are located in North Kihei, just off Piilani Hwy, just a 10 minute walk to the beach, 15 minute walk to Safeway and a 20 minute drive to the airport. We are just a couple of short blocks from most of Maui's best beaches, many restaurants and nightclubs, 24 hour grocery and shopping areas, the movie theater, and library. Beach towels, linens and beach chairs are provided. This is a beautiful place for a great price. Come stay with us! Come and go as you please. Quick Access to top tourist destinaitons. Affordability! Great little spot central in Kihei. I was in Maui for the marathon and it was exactly as described. Comfortable bed, quiet, cool, and you barely know there’s others in the house. Definitely would recommend it! Had a mouse, and trouble contacting the hosts.. I had a mouse, and trouble contacting the hosts, and an issue with the Internet. I will still give them a three however because the hosts dealt with the issue well when I did get in contact with them. Celebrating our anniversary the night Erik could not get on the internet and found out that our internet provider went down as “Spectrum” our internet company reported they had an issue that night when we called. The tropics does have insects and rodents that sometimes come in the house which we deal with the best we can as we have pest control regularly and moved Erik to another unit. It was a great stay. The place is nice and clean and the house is very central to take any day trips all over Maui. Thanks Diane and Gord for your hospitality and making the stay for me and my mom a memorable one. We will for sure come back!!!! This room is only 2 blocks from the ocean and a beautiful location to watch the sunset. Diane and Gordon were very responsive and accommodating hosts. We would absolutely stay here again.